Remember Flappy Bird? The smash viral hit from 2014 developed by indie developer Dong Nguyen from Vietnam, which generated over $50,000 per day from the game’s ad banner, but was later pulled from the App Store by its creator at the height of its popularity. 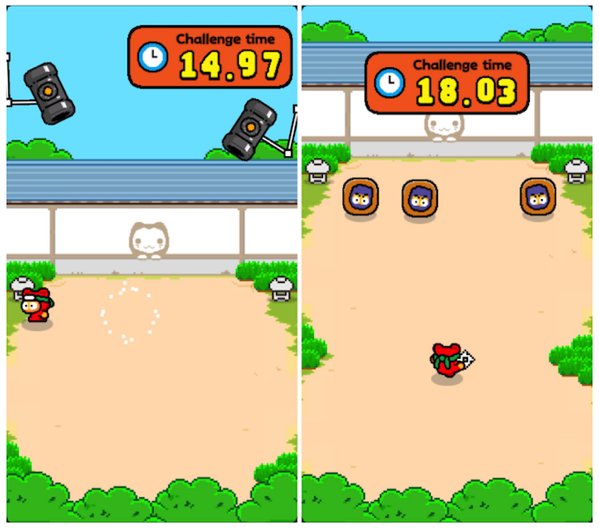 Turns out Nguyen has been making pick-up-and-play games with cute art and aggravating difficulty since then and for his latest game, he has teamed up with Japanese publisher Obokaidem to bring us Ninja Spinki Challenges! !, which releases in the App Store next week. The folks over at Touch Arcade have had the chance to go hands-on with the game ahead of its release, who say that Ninja Spinki Challenges!! is much more polished than Nguyen’s previous titles. The main character is drawn from the cast of Swing Copters, and the gameplay focuses on performing relatively simple actions in increasingly challenging circumstances. The game has two modes, but you’ll have to play a little of the first to unlock the second. The first mode is the Challenge Mode, where you’ll play one of six different mini-games. There are five sets, making for a total of thirty stages. Clearing a mini-game in one set will unlock it in the next set, where the challenge will be higher and the timer that you have to wait out longer. Beating the first set of challenges unlocks the second mode, which features an endless variation of each mini-game. The six mini-games see you dodging bouncing statues by running back and forth, firing shuriken at paper ninjas, scrambling out of the way of rolling bombs, weaving between giant spiked balls that slowly move up and down the screen, dashing left and right to avoid cannon fire, and hopping over rolling fruit. Some of these are more difficult tasks than others. Although the game might not repeat even a fraction of the success of Flappy Bird, it’s good to see Nguyen develop his skills as a game designer with his latest title.